This American Life has an important update on the plight of our Iraqi and Afghan allies. Kirk W. Johnson, our founder, recorded a new interview with them, discussing the future of the issue under the coming administration. For those of you who are just finding out about the List Project and our background, and are looking to get involved, a brief update: while our partnering law firms, chiefly Mayer Brown LLP, are still handling a number of the final names on the list, we are no longer asking for or accepting donations from our supporters. If you are looking for a great organization to support, check out Refugees International, the International Refugee Assistance Project, No One Left Behind, or the International Rescue Committee. If you want to get involved more locally, reach out to the resettlement organization working with newly-resettled refugees in your area. 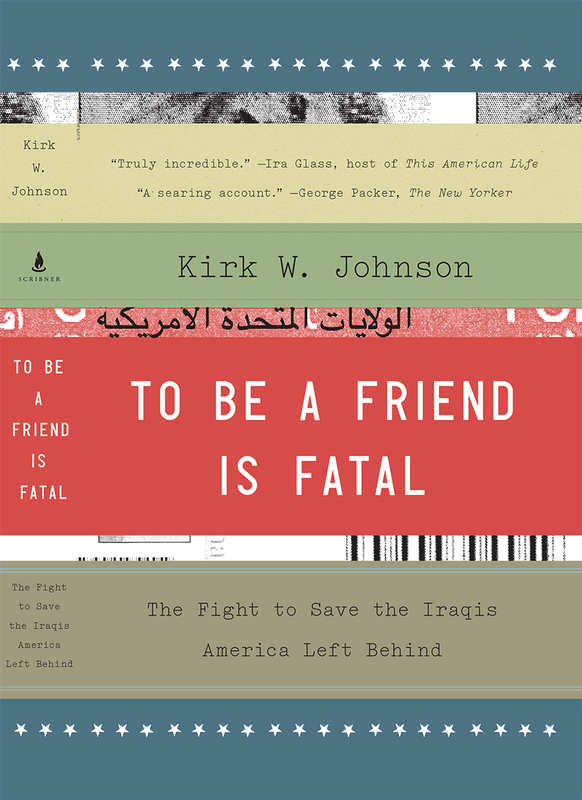 If you’re interested in learning more about the issue, you can order Johnson’s To Be a Friend is Fatal: the Fight to Save the Iraqis America Left Behind from Amazon or any other bookseller. The List Project has helped over 2,000 U.S.-affiliated Iraqis make it to safety over the years, but our work continues. “Like” us on Facebook for occasional updates on our work and the current situation in Iraq.